This crowd-funded project will improve our knowledge of how the state of the atmosphere is changing, provide the measurements needed to improve our understanding of the underlying atmospheric processes, and provide the data needed to improve the quality of weather forecasts. 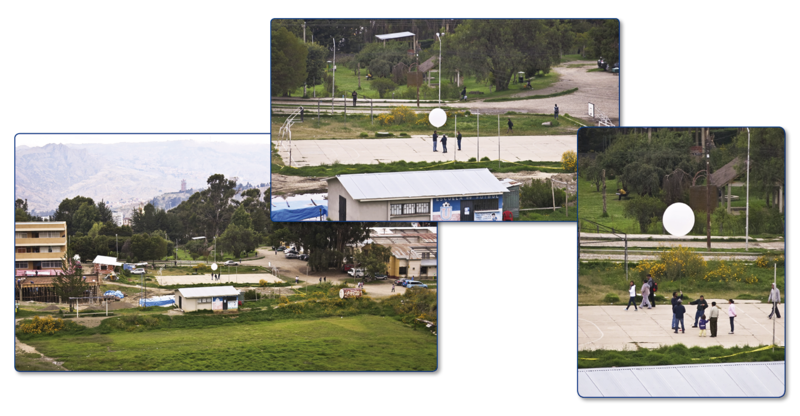 Our goal is to establish a state-of-the-art upper air measurement programme at La Paz, Bolivia to demonstrate a local capability for making such measurements. Once longer term funding is secured, the hope is for La Paz to become a new site within the GCOS (Global Climate Observing System) Reference Upper Air Network (GRUAN). GRUAN is an international reference observing network, established in 2009, tasked with providing long-term, world-class, highest quality measurements of essential climate variables such as temperature and water vapour from the surface of the Earth up to an altitude of 35 km. Existing GRUAN sites already provide valuable data to a wide range of users. Should La Paz become a GRUAN site, it will be the first GRUAN site in South America and the first high-altitude (located at 3420m asl) GRUAN site in the Southern Hemisphere. In part because of the high standards required by GRUAN, there are, at present, less than 20 GRUAN sites in operation world-wide. At present, there are no GRUAN sites in Africa or South America. We cannot manage what we do not measure and if we want reliable knowledge of how our climate and weather are changing, it is essential to have access to the highest quality observations, globally. A comprehensive network of GRUAN sites distributed globally would provide the measurements needed to quantify changes that are occurring in the state of the atmosphere. Why did we choose La Paz? Not only does the high altitude make La Paz an attractive and valuable measurement site for GRUAN, but its close location to Mt. Chacaltaya at 5240 meters above sea level adds to the value of the measurements made at La Paz; measurements of atmospheric composition are made at Chacaltaya as part of Global Atmospheric Watch which has support from the World Meteorological Organisation. The measurements at La Paz and Chacaltaya are mutually complimentary and, together, increase the scientific utility of both measurement programmes. Click here to see a description of all radiosonde launches.